This mod adds a different colored cobblestone walls. 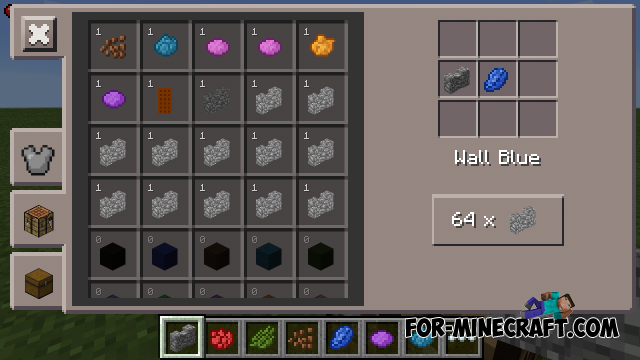 To get this color cobblestone wall you have to find one wall and one favorite dye. WALL JUMP MOD for Minecraft PE 0.11.1 / 0.11.0 / 0.10.5This a completely new mod will allow you to jump on the walls! Wall-E mod for Minecraft Pocket Edition 0.10.5I think many know one of the most popular cartoon "WALL-E".